Mornings can be hectic. Sleeping until the final moment then being rushed into making choices for yourself and others, feeding yourself and others, and getting dressed all while running against the clock to get out the door and to work on time can become extra stressful. Hectic and stressful mornings often result in aggravation,frustration, and a feeling of disorganization by the time you’ve arrived for work which may result in no or low productivity. Improving and/or increasing your productivity at work or throughout the day can be as simple changing your entire morning routine and putting forth a little more efforts the night before. 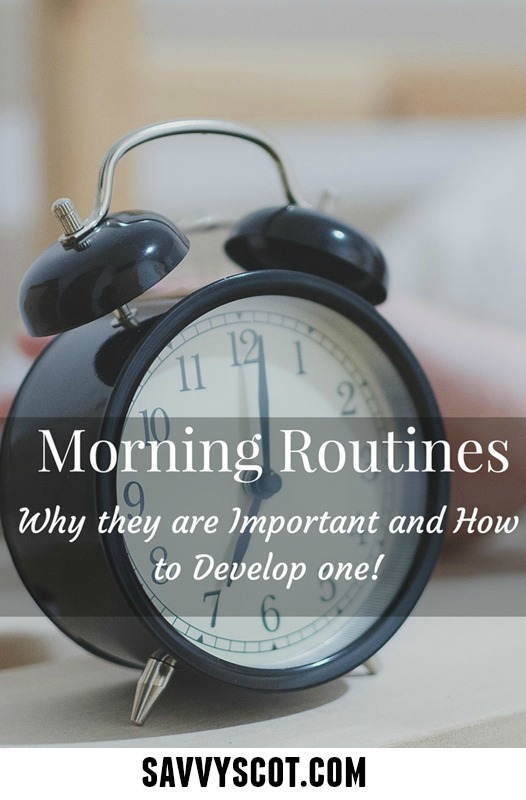 A morning routine should be developed to reduce the chaos of mornings while encouraging you to tackle the remainder of the day with eagerness and excitement. A morning routine should not be difficult and could include one or all of the things you are already doing but without the chaos. Below are some helpful tips on developing a great morning routine for a great day! The first important tip to developing a morning routine is to change your mindset especially if you have convinced yourself that you are not a morning person or that your hate waking up. Changing your mindset could be a simple as just convincing yourself that you, in fact, are a morning person and you would like to take advantage of the morning. 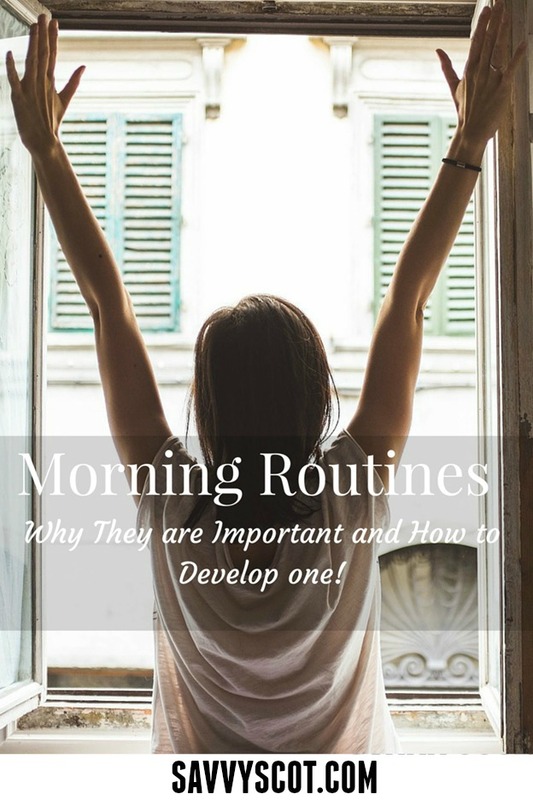 Researching morning routines of successful people and understanding why they feel a morning routine is vital may also assist in changing your mindset, especially if becoming successful is your desire. Key people to research may be Steve Jobs, Russell Simmons, or anyone that you consider successful in areas that are interesting to you. Maybe ask the CEO of your company about his or her morning routine! Determining what is important to your morning is essential in developing a morning routine. For example, if eating breakfast, exercising, or meditating are all task you would do if you had “more time” and you feel it would increase your productivity or change how you feel it should be incorporated into your morning routine. If work related task are important they should be considered as well. You should also focus on your strengths and your potential in the morning and apply that to your morning routine. Discovering how you desire to feel in the morning is also important. Once you’ve decided on how you would like to feel in the morning, you should incorporate task that promote that feeling. For me, it is important that I feel prepared, relaxed, and energized in the morning. Therefore, as you will see below, I do as much as I can the night before to be prepared yet relaxed and I exercise and eat breakfast for the energy. If you are unsure of how you would like to feel in the morning, focus on how you do not want to feel and build a routine around that. Setting a time to rise is also vital to a morning routine. When deciding on a time you should consider any tasks you’d like to accomplish and the time that it takes to complete them. Setting a time to rise should be reasonable for you, even if it means going to bed earlier the night before. Also take into consideration the time it takes others (spouse or significant other, children or siblings) to get prepared and how that will affect the timing of your morning routine. Now that you’ve changed your mindset, determined which task are necessary for a productive morning and a reasonable time to rise you should commit to beginning a routine! If it feels intimidating then at least try it for a couple days to a week and see what difference it makes in your mornings. Morning routines are not definite and should be adjusted according to what works best for you. Do you have a morning routine? What is important or will be important in your morning routine?